Appliances seem to always have a way of breaking down at the least convenient time possible. Deciding whether to replace them with a new appliance, or have it repaired can be a hard decision. If you can find affordable appliance repair in Williamsburg, however, it can make a lot of sense to get it fixed. Here at Williamsburg Appliance Repair we fix virtually every type of appliance from any manufacturer you can imagine, and always for the best possible price. We are always more than happy to talk with you about any type of problems you’re having with any type of appliance you may have. So, if you have an appliance that has stopped working, please give us a call and speak with one of our appliance repair professionals here in Williamsburg. We can be reached by dialing 718-517-2234. Modern homes typically have a lot of different appliances, most of which are considered indispensable to their owners. The following is a list of the most common types of appliances we repair for our Williamsburg customers. If you don’t see your appliance on the list, don’t worry. You can always give us a call and the chances are that we will be able to fix it for you. In most cases we will be able to come out to your home or business to complete the repair right on site. Our repair professionals have years of experience working on appliances and are friendly and trustworthy to work in your home. Factory authorized appliance repair shop in Williamsburg for most appliance manufacturers. If you have a newer appliance that stopped working, let us know. We are an authorized appliance repair shop in Williamsburg, which means we can do most types of warranty work on most brands. Just let us know when you bought the appliance and what brand it is and we’ll let you know if we can fix it under the original manufacturer’s warranty. If so, you often won’t have to pay a thing for the repair service! Of course, if your appliance is out of its manufacturer’s warranty, we can still help. Thanks to our low prices we can typically make it well worth the cost of the repair. For most appliances, a simple repair can add years of life so it is obviously a very smart decision. We are performing service and repair under extended warranty agreements and contracts as well as home warranty and credit card protection policies. If you have any questions about our appliance repair services in Williamsburg, please don’t hesitate to give us a call and let us know. Talk with us about the types of issues your appliance is having and what may need to be done in order to get it fixed. Our repair professionals can be reached at 718-517-2234. 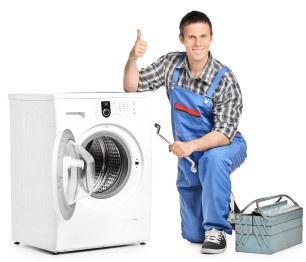 We look forward to helping you with any type of appliance repair in Williamsburg you need.